We see it overtly in online comments sections, the sentiment that "if they don't like it here, they should leave." And we see it subtly in things like the recently minted Facebook page pushing for a public vote on the fate of President McKinley's statue in the Arcata Plaza, which the city council voted to remove in February in the face of growing public pressure, much of it coming from the Humboldt State University campus. The page is titled "Let the People Vote on Our McKinley Statue," gently intoning that those new-to-town campus folk can't possibly hold any ownership of the thing. Even more subtly, we see it in the comments of a heartfelt woman who during Arcata's recent Community Dialogue on Race said, seemingly directed at HSU students of color, "If you want friends, show yourself friendly." There's nothing wrong with the sentiment on its own — it holds true in most venues. But Humboldt County needs to recognize that this proves most true for those who have been here years, decades or generations. Humboldt County is better for having Humboldt State University and the brains, diversity, vibrancy, ingenuity and dollars it brings here. And all of us who have staked lives here had better recognize that we need friends — especially smart, hard-working, motivated ones — to help us make this a better place for our children and our children's children. So we damn well better show ourselves friendly. And maybe if we did show ourselves friendlier, in time, these new-to-towners will set down roots. Maybe they'll love it so much they'll go to medical school and come back as much-needed doctors and nurses. Maybe they'll become so enthralled with the redwoods and the folksy smiles that they'll start a business and hire you to work there. Maybe they'll get a credential and teach your kids' elementary school class. If you read this week's cover package, you'll see that there's a growing segment of our community that doesn't like it here, that doesn't feel safe here. And that's not on them. It's on those of us who have long called Humboldt home and it's up to us to change it. People of color in this community have already done too much work in this conversation. 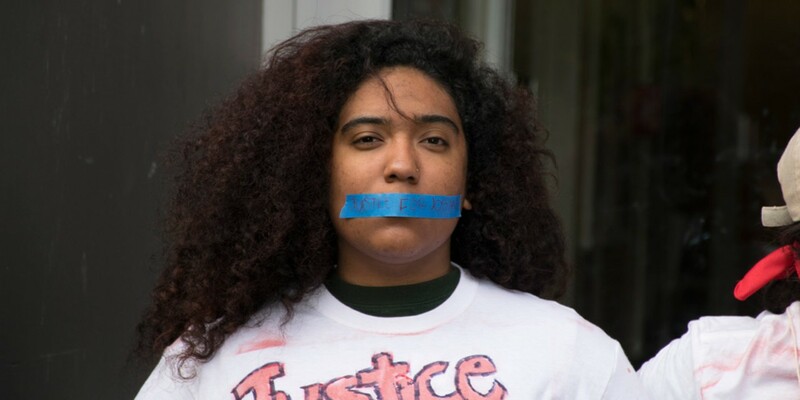 They've stood up at public meetings and forums to speak of their experiences — to tell stories of being made to feel unwelcome, of receiving side-eyes and subtle accusations. And they've done this — repeatedly — simply to get this community to acknowledge their experiences as real problems that need to be addressed. Their work should be finished. It's now on the rest of the local community — the part that's 84 percent white, according to the U.S. Census — to push this conversation forward, to show itself friendly, as it were. There is a lot at stake. 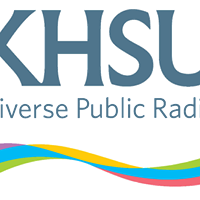 HSU is the county's largest employer and generates an estimated $190 million to the regional economy annually, including an estimated $10.5 million in local sales tax, according to a recent California State University system study. 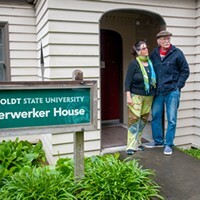 According to a 2010 report, there are some 10,000 HSU alumni currently living in Humboldt, with somewhere around 30 percent of graduating seniors looking to stay locally each year. In a county with an economy that's slumping amid the legalization of our largest agricultural export, these aren't numbers that can be dismissed. We need students to want to keep coming to HSU and we need them to build lives here after graduation. But all that pales in comparison to the moral imperative. Humboldt County needs to make students — and community members — of all races, ethnicities, sexual identities and orientations feel welcome here because it's the right thing to do. So we at the Journal will come out and say it. We will continue to work to make this community one that strives to welcome all people and to keep them safe. We'll work to make it a place where you can be you, so long as you're not causing harm to anyone else. We'll strive to make it a place where people understand, respect and celebrate our differences while sharing our common interests, goals and passions. 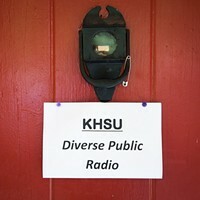 As HSU student Jibril says in this week's cover package, "We are Humboldt." And if you can't get behind that, well, you should probably leave.